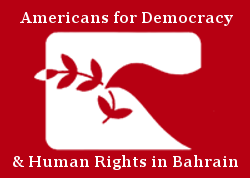 As of 29 January 2019, the Government of Bahrain officially submitted documents to Thailand’s Ministry of Foreign Affairs, formally requesting for the extradition of Hakeem AlAraibi to Bahrain. After over 60 days of detention in Thailand, Hakeem AlAraibi is one step closer to being forcibly sent to Bahrain, where he will almost certainly face imprisonment and torture. On 27 November 2018, Hakeem AlAraibi, a Bahraini football player, traveled from Australia to Thailand for his honeymoon, where he was detained immediately upon arrival due to an INTERPOL Red Notice. This notice was issued by the Bahraini government on account of vandalism charges against AlAraibi dating back to 2014. While the alleged incident took place while AlAraibi was playing in a televised football game abroad, he was tried in absentia and given a 10 year prison sentence. Following this event, AlAraibi fled to Australia seeking asylum, and he was granted refugee status in 2017. Although INTERPOL Red Notices do not apply to refugees and the Red Notice against AlAraibi had been lifted, Thailand decided to continue AlAraibi’s detention while awaiting extradition proceedings from Bahrain. Hakeem AlAraibi was previously tortured by Bahraini officials in 2012 on the basis of his brother’s involvement in Bahrain’s Arab Spring uprising. AlAraibi also was publically vocal in criticizing the Asian Football Confederation president and member of the Bahraini royal family, Sheikh Salman bin Ibrahim AlKhalifa. Hakeem fears that if he is sent back to Bahrain, he will endure further torture and imprisonment at the hands of the government. Should the status of Hakeem’s extradition progress and he is sent back to Bahrain, he will likely be subject to torture and arbitrary imprisonment in the kingdom. Thai authorities should release AlAraibi immediately and unconditionally, halting the extradition process and allowing his safe return to Australia.